Christopher Shanahan SC is an independent barrister. He was appointed silk on 1 December 2004 and is a member of the WA Bar Association, of which he was Vice-President between 2005 and 2007. Chris’s practice focuses on, administrative, civil and commercial matters, with an emphasis on appeals. He argued the successful appeal in the High Court in Smith v. WA (2013) 250 CLR 473 regarding criminal conduct by jurors. Chris also appeared for the successful appellants in the Full Federal Court in Charles v. Sheffield Resources Ltd  FCAFC 218 (20 December 2017) a case engaging the obligation to negotiate in good faith under the Native Title Act 1993. Chris is the leader of Murray Chambers in Perth which is affiliated with Murray Chambers in Adelaide. 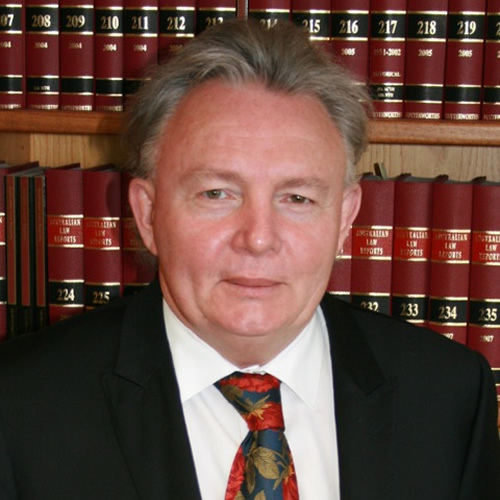 Chris has a substantial body of work in native title, mining, compulsory acquisition and associated administrative law issues, most recently including the structure and operation of claim groups, the right to negotiate and associated issues, governance, the structure and operation of trusts, and related contempt proceedings. Prior to taking silk in 2004 Chris’s practice included first instance crime, and he appeared in some 120 jury trials between 1996-2003. Chris continues to appear in occasional criminal appeals. From 2005 until August 2010 Chris served part time as A/g Commissioner of the Corruption and Crime Commission of Western Australia; he has also served as an A/g Information Commissioner for Western Australia. He was reappointed an A/g Commissioner of the CCC in April 2014 and served until July 2016. From April 2014 – April 2015 Chris took a more active role in the CCC during a lengthy vacancy in the office of substantive Commissioner, and during that period he shared the substantive role with his fellow A/g Commissioner. He has extensive experience with the exercise of coercive statutory power, statutory construction and the operation of bodies with the powers of a standing royal commission.